Beautiful place, beautiful view in the penthouse suite. Felt like I was in the 1800s but with all the comforts of this century (very technological actually). Absolute privacy (too much actually, didn't see a single person during my stay, staff included). Well equipped kitchen. Very clean. It was secluded. Plenty of room. The kitchen was nicer than what I have at home. There was a washer and dryer with detergent available. 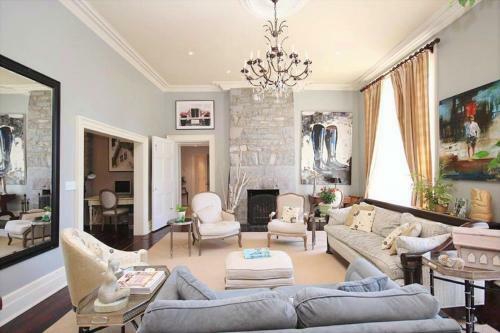 Beautiful manor close to Kingston. Lovely decor and an absolutely stunning gourmet kitchen. The suite included two bedrooms, two bathrooms, a full kitchen/dining area and a living room. Everything was tastefully decorated with great attention to detail. We hosted a 15 person celebration of our daughter's graduation with no difficulty and guests were amazed at the property and suite. Fantastic. The beds were extremely comfortable and luxurious. The manager was very nice and explained everything. I loved the private patio. The Sopewell suite was amazing. Our kids loved their room so much it was hard to get them out of bed. The photos, while very beautiful and accurate do not even do justice for the true beauty of our room! We stayed in the Sopwell suite and we are so glad we chose here over any chained hotel downtown. We will definitely be back in the summer to really take in the beauty of Kingston and all it has to offer. The penthouse suite was so cozy/and super clean. They put so much effort into making sure you have an amazing stay. The room was beautiful and again, spotless. The apartment was absolutely fabulous -, in its size, the beautiful decor, incredible comfort and impeccable blend of historic and modern. Original artwork, a king-sized four poster bed and cathedral ceilings as well as every convenience we needed added up to a luxurious, peaceful stay. Thank you so much. Very easy to check in. Easy key pad code. The view was wonderful. Lock in a great price for All Suites Whitney Manor – rated 9.3 by recent guests! All Suites Whitney Manor This rating is a reflection of how the property compares to the industry standard when it comes to price, facilities and services available. It's based on a self-evaluation by the property. Use this rating to help choose your stay! 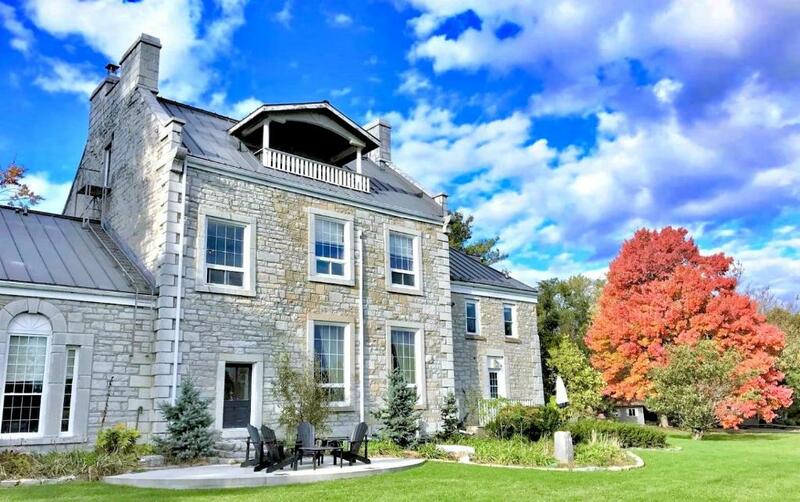 Housed in a 200 year old limestone mansion, All Suites Whitney Manor is a self-catered accommodations located within a 5-minute drive from the city of Kingston. 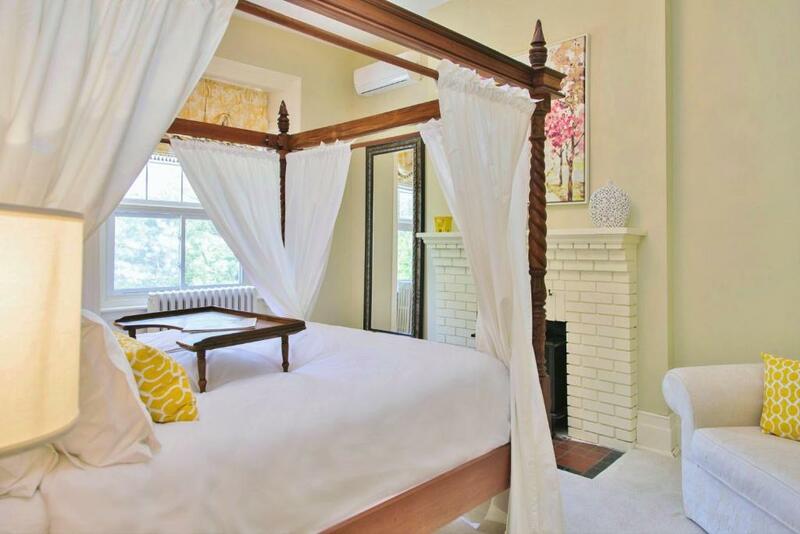 Elegantly and stylishly decorated, this accommodations features free WiFi throughout. Each suite enjoys a spacious seating area, a flat-screen TV with cable channels and a fireplace. They also include a full kitchen. 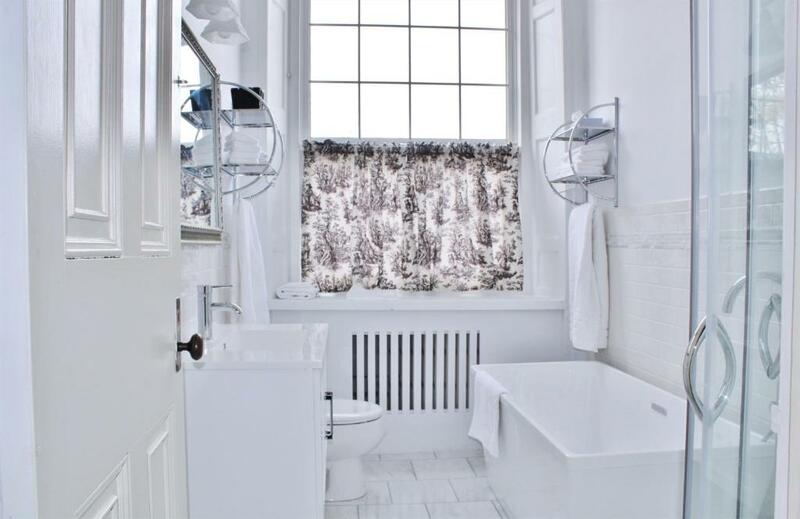 The marble bathroom offers a glass shower stall. Some units open out onto a private balcony or a patio, while others are split level. Private laundry facilities are provided by the property. 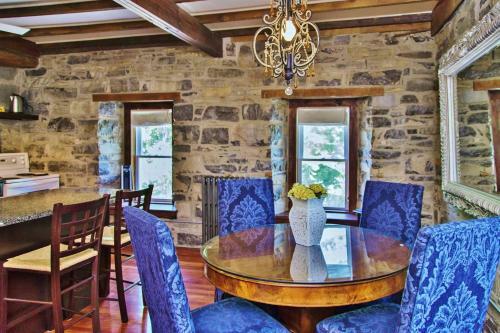 The building is fitted with original pine or marble flooring, cathedral ceilings and exposed stone walls. On-site parking can be found on the premises at no additional charge. 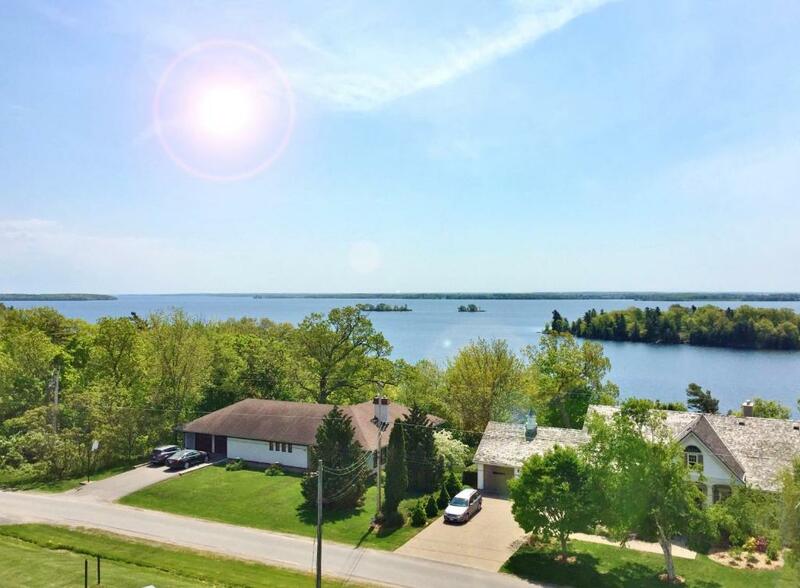 All Suites Whitney Manor is a 15-minute drive from the town of Gananoque. Old Fort Henry National Historic Site is less than 6.2 mi away. When would you like to stay at All Suites Whitney Manor? 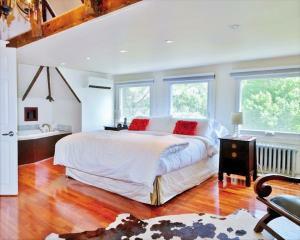 Located on the 3rd floor of the mansion, this suite enjoys panoramic views of the St. Lawrence from its balcony. Stylishly decorated, it consists of a seating area and a full kitchen with breakfast bar and dining table. The marble bathroom has a glass shower stall. Please note guests will need to climb stairs to access this room. Fitted with stone walls and wood beamed ceilings, this split-level suite offers a jetted tub and a seating area with fireplace. It features a full kitchen with a granite counter top and breakfast bar. Views of the St. Lawrence River are provided from various windows in the unit. This room type is also known as the Murphy Suite. Fitted with a mix of original pine and marble flooring, this suite offers a jetted tub, a full kitchen, a living room and exposed limestone walls. This suite offers 2 full bathrooms, a separate entrance with a private patio, a kitchen and dining area, heated marble flooring and a Nespresso® coffee maker. This suite offers an entertaining area, 2 flat-screen TVs with digital cable, a gourmet kitchen with breakfast bar, heated marble floors and cathedral ceilings. Fitted with a mix of pine and marble flooring, this suite offers a gourmet kitchen, a dining area, a breakfast bar, an entertaining room and a wraparound furnished patio. This suite, with partial views of St. Lawerence River, offers a flat screen TV with digital cable, a deep soaking tub, a living area and a Nespresso® coffee maker. This suite offers an a washer and dryer, a private patio area, a kitchen with a small dining area, and a bathroom with a shower stall, deep soaking tub and heated floors. 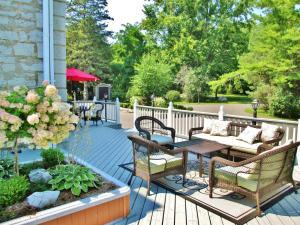 All Suites Whitney Manor is a self-catering accommodation located along the St. Lawrence River. Built in 1817, this all-suite property features five completely separate one or two bedroom suites, ideal for both short and long term stays. Our stylishly decorated suites combine historic 18th century architecture with the modern luxuries and conveniences of today's world. House Rules All Suites Whitney Manor takes special requests – add in the next step! All Suites Whitney Manor accepts these cards and reserves the right to temporarily hold an amount prior to arrival. Please note early check-in or late check-out cannot be guaranteed until the day of arrival or departure. Please note that daily housekeeping is only available upon request with surcharge. Please inform All Suites Whitney Manor of your expected arrival time in advance. You can use the Special Requests box when booking, or contact the property directly using the contact details in your confirmation. Not an issue for me, but important to know there are a lot of steep stairs to get to the penthouse suite. Maybe a fireplace in the living room would have made it 100% perfect (there is one in the bedroom). No complaints though, everything was great. Only thing I wasn't a fan of was the distance to the City Center. However, this was a teeny tiny problem compared to how amazing the stay was. Nothing. Everything was literally fantastic. TV signal would drop frequently for short periods of time . Caused jerky viewing . Not a big deal as only watched it for a short while. Coffee maker wasn't working well. The stairs were a lot and very steep though and didn’t realize this when booked. Is this mentioned in the details before booking? There were a few drywall repairs needed in living room. We stayed in Sopwel suite. Kitchen was fairly basic. For the price you pay you would for instance expect a dishwasher. Bathroom floor was not very clean. Beautiful apartment in nice, old mansion. Very quiet location only 10 min drive to downtown. Very nicely decorated; beautiful garden as well. Easy check in with instructions and code. Beautiful suite, fully equipped with everything we needed. Spacious, clean and tranquil, we couldn’t have asked for a better stay. Communication was excellent, check in/out was seamless. We loved it here! We loved everything about this property. Absolutely fabulous. We stayed in the Penthouse Suite which was amazing. 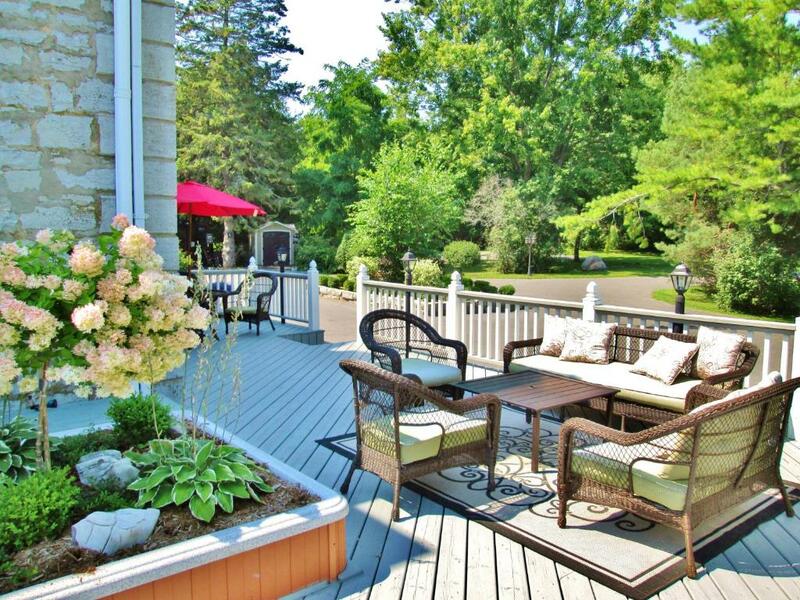 Property is set in a beautiful tranquil location. Nothing really, we loved the place. The place and the house are just amazing. The decoration, the spaces, the light, everything is great. We had 2 rooms and an extra living room with everything you may need for a short stay. Only take back is we did not have the chance to stay longer. Thanks Robert for the great tips! Great check out at 12.00! Everything. The property was beautiful and the suite was lovely and comfortable. Stylish decor, art work and comfy bed. It was perfect!